Drinking water is good for our health in many ways. But if the water we drink is not pure, it can be damaging to our health. We know that tap water is not pure. You learned about all of the contaminants it contains in the previous installment. You might be tempted to buy bottled. According to the advertising and marketing schemes, bottled water is safer and purer than our tap water. The companies insinuate that it comes from mountain springs and is good for your health. It’s simply not true. It’s all a scam. 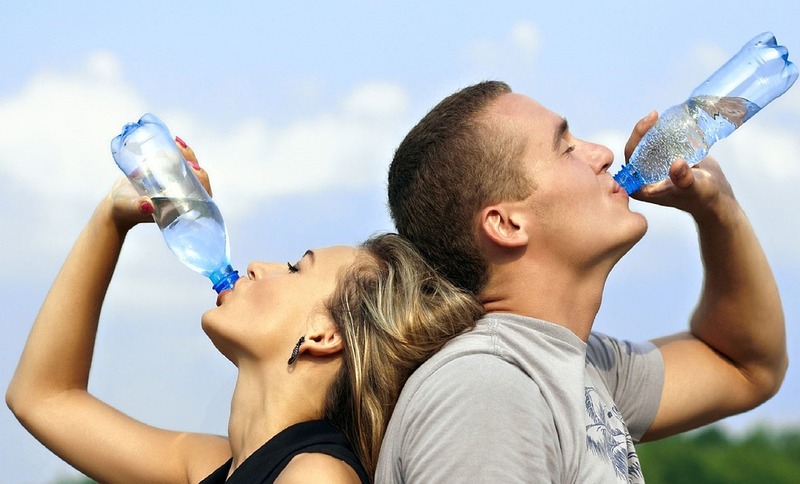 The US FDA advises consumers that bottled water is not necessarily any better than tap water. In some cases, it is actually the same thing. Many of the major bottling companies including Coca-cola® and Pepsi® use public water supplies. Their factories are located all over the US. When you buy Dasani® or Aquafina®, you are actually buying someone’s tap water. The inexpensive store brands could be even worse. At least Coke® and Pepsi® use some kind of purification process. The store brands might not do anything but put your local tap water in a bottle. Independent testing has confirmed that cheap bottled water is not pure. Of course, the purification processes used by Coke® and Pepsi® are not the best. Something about the process used by Coke® caused the formation of cancer-causing bromate according to a test conducted in the UK. The carcinogen was not present in the tap water Coke® was using. What about “spring water”?If a company uses that term on the label, it must list the name and location of the well used on the reverse of the bottle. It does not actually come from a spring. Springs are unprotected sources where groundwater bubbles up to the surface. They can easily be contaminated with animal and bird droppings. Manufacturers are not allowed to use the unprotected sources. They actually use wells. Nestle Foods® (manufacturers of many spring water brands) was sued for false advertising in 2003 for claiming that the Poland Spring® brand came from a spring. It actually comes from a number of different wells scattered throughout Maine. The site of one well is nestled between a former trash dump and an illegal dumping site where human sewage was sprayed on the ground. Nestle® settled the class action false advertising suit for $10 million dollars without admitting any wrong-doing. The history of the industry is dotted with similar cases. Perrier® was recalled in 1990 because a North Carolina laboratory found that bottles from dozens of different lots contained high levels of the carcinogen benzene. The NC tests were meant to serve as an example of purity. Brands bottled in plastic have been shown to contain estrogen-like compounds. Brands bottled in glass may be safer, but it all depends on the source and the purification processes used. The vast majority of the plastic bottles end up in landfills. All plastics are derived from petrochemicals; petroleum byproducts. It takes water to make the bottles. It has been estimated that three times the amount of water found in the bottle is wasted during the manufacturing processes. Fill the bottle a quarter full to come up with the amount of oil that is used during the manufacturing process or during transportation. Multiply that by the number of bottles in a case. You’ll see that the industry uses a significant amount of fossil fuels. The bottles that are transported long distances (the imported brands) are sources of even more wasted fuel and freshwater. But, those companies that do not ship across state lines are not required to test samples for contaminants. It’s something of a catch-22 situation. People with weakened immune systems are warned by the EPA and the FDA to avoid bottled brands, because they may contain illness causing germs including e-coli and cysts. Cysts may be present in tap water, too. They are resistant to chlorine and other large-scale disinfection methods. They can only be filtered out. Then there is the subject of cost. The cost of bottled water in the US ranges from 25 cents to $2 per bottle. On the average tap water costs less than a penny per bottle. The cost of using a home purifier is less than a dime per gallon. That’s the only way to ensure that you and your family are drinking pure water. Install a home purifier or a best water filter pitcher 2017. What Are The Factors To Be Checked Before Hiring An Interior Designer?